The 2 Clix Easel School Whiteboard is manufactured to a high quality and is the easiest on the market to set up and use. The school whiteboard comes with a metal frame and is incredibly stable. This whiteboard easel is height adjustable with 4 different height settings, making the whiteboard perfect for use in classroom environments as well as for interactive activities with children of different ages. The whiteboard screen is a dry-wipe non-magnetic surface and comes with a universal flip chart clamp. 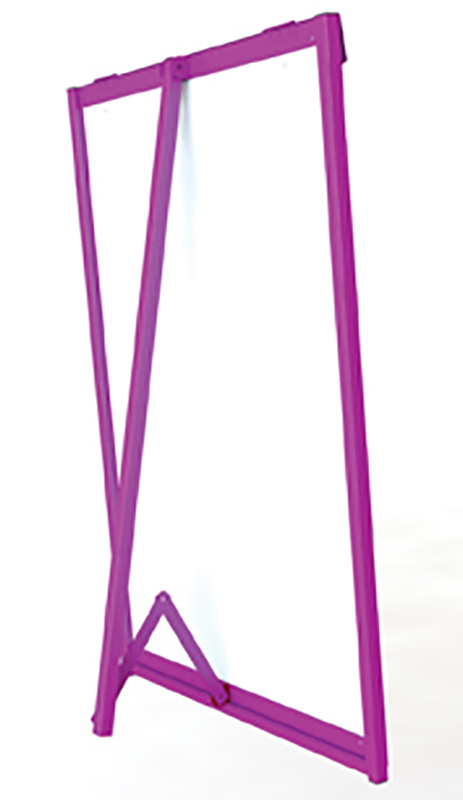 Ideal for use in classroom teaching environments, offices and meeting rooms. The portable whiteboard comes fully assembled and the simple 2 step operation means it is ready for use in 2 simple clicks. Simply fold out the rear leg, click the rear leg extension into place, then pull down front leg extensions and again click into place. The 2 clix system means this school whiteboard is easy to store and transport from room to room. 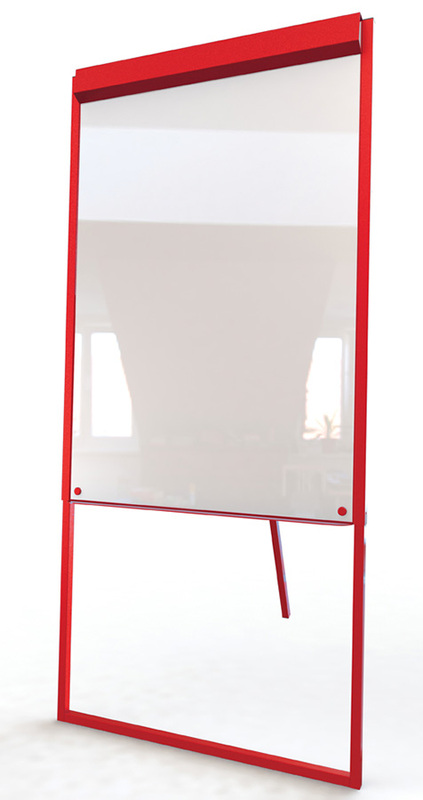 This portrait, dry-wipe whiteboard comes in a choice of frame colours – red and pink. For more information on our range of Classroom Whiteboards contact us or call us on 01733 511121. 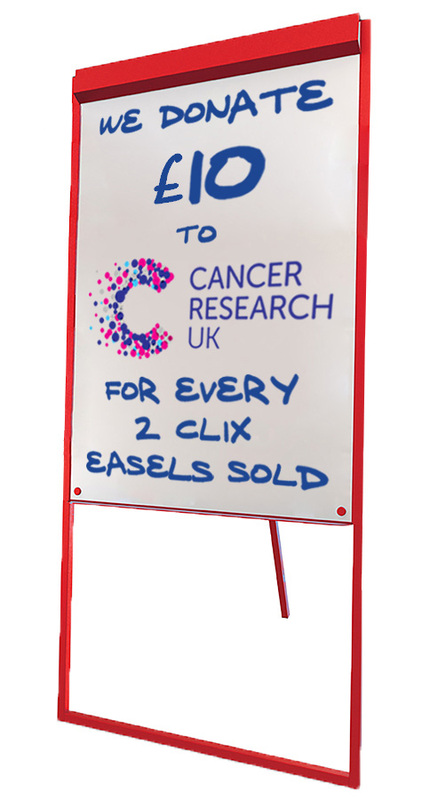 For every 2 Clix Easel sold, we donate £10 to Cancer Research UK. Cancer Research UK is a cancer research and awareness charity in the United Kingdom which aims to reduce the number of deaths from cancer. It is the world's largest independent cancer research charity and conducts research into the prevention, diagnosis and treatment of the disease. Almost all of the amazing work carried out by Cancer Research UK is funded by the public so fundraising is vital to the charity. This is why we are supporting the charity by donating £10 from every 2 Clix Easel sold to support the great work they carry out.